Loved the place! Right in the middle of the city. We needed a place to stay for two night and the twin room they have was just right. We were after two long driving days and the shower and the clean, cool sheets were just what we wanted. The balcony was also a nice plus, where you could drink a beer or your morning coffee. By far the best and most fun hostel I have stayed in! If you're looking to have a good time in Timisoara then this is the place to stay! 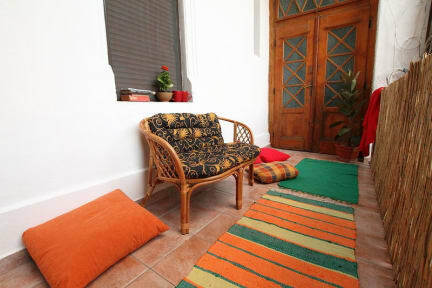 I would definitely only stay at this hostel if Timisoara is on the list of places to travel to. I had so much fun at this hostel! My only regret is that I couldn't stay longer!! Eetu and Andrew were awesome hosts and gave me the best recommendations for things to do in Timisoara! I'm still thinking about how good that burger from Lera's was! Anyway. 10/10 will stay again and would definitely recommend this hostel! 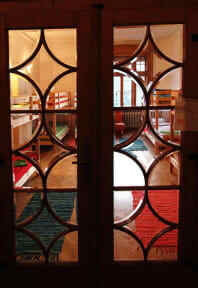 Perfect location, amazing staff, great hostel environment. Thanks for being the highlight of my trip to Romania! Great for a few nights! The staff was extremely friendly and insightful when I asked for places to go eat and drink. Nice little hostel near everything. The guy working there is absolutely lovely! Location is brilliant, right in the middle of Piata Victory, a 1 min walk to the Orthodox Cathedral. Supermarket downstairs, shops, restaurants all around you and an easy walk to the main sights in 10-15 min. Twin room was clean and spacious but the bed mattress is a bit too soft and can be a problem if you are prone to bad backs. Toilet is clean but smelled funky because of the vinegar solution used to clean it. There is a kitchen with stove, microwave and fridge with cooking utensils. There was no member of staff at the hostel when I arrived despite the fact I'd told them I'd be arriving late in the evening. I couldn't get into the building until I phoned the manager. When I returned a few days later, I found they'd double-booked my room, but hadn't thought to inform me until I arrived. They did give me the first night for free and moved me to a new hostel, but the fact that they messed up so much in a short space of time would seriously deter me from coming back here.